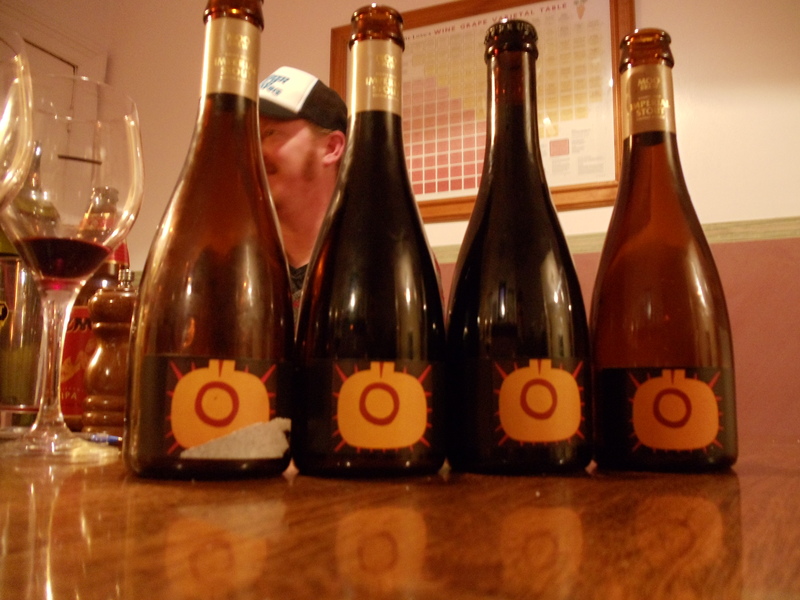 We had some friends over a few weeks ago to have a side by side tasting of the Moo Brew Oak Aged Imperial Stouts from 2007, 2008, 2009, and 2010. 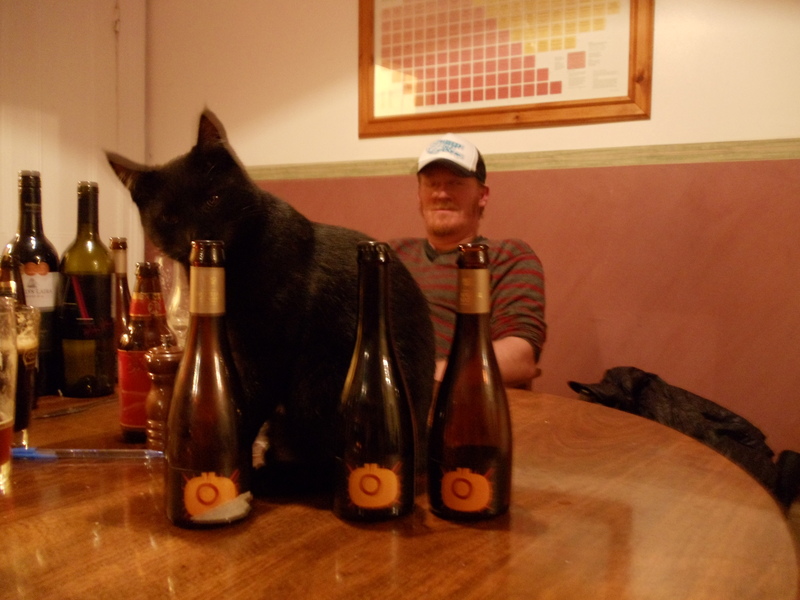 Scotty is a brewer for Moo Brew and Kate is a chef; both love to eat and drink so we get along very well. It was on the 4th of July so for Caroline and Scotty (also American) I made pulled pork, potato salad, and Bruny Island wallaby kranskys. Kate and Scotty brought over an awesome mexican street salad and some NorthCoast IPA from California. I fell in love with pulled pork whilst visiting the U.S. American BBQ is awesome and is a classic beer food too. It tasted really good with NorthCoast Pale Ale, which is a malty English style Ale. 2007: This was still drinking really well. It had a rum and raisin character and a great subtle amount of vanilla and coconut from the oak. 2009: This one was still tasting pretty good with a lot of the same characteristics as the 2007. Our bottle was over-carbonated, but this doesn’t necessarily mean others would be . 2010: This is going to be awesome in a year or two. It is really rich and has a massive amount of oak character. I can’t wait to try it when its been cellared a bit more; this beer will age really well. It has just been released, so if you can get your hands on some I recommend it. My Pick? 2007. It really shows how well this beer can age. I wouldn’t age it much more then 3-4 years. Imperial Stouts, and all of these stouts, would go really well with a rich dessert, something chocolatey, sticky date pudding, or rum balls. 2007! We’ve trained him well. 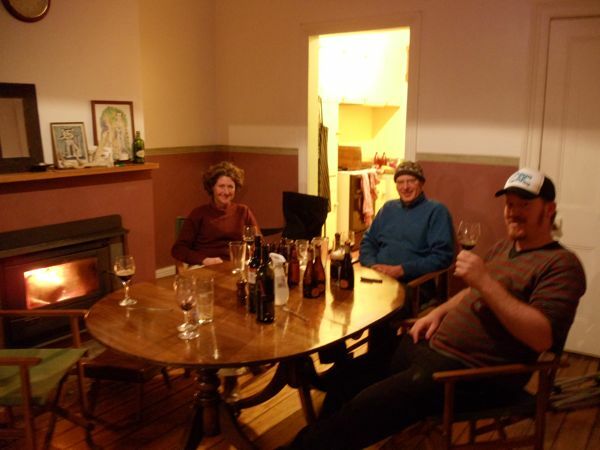 This entry was posted in Beer and tagged George, IPA, Moo Brew, Moorilla, Stout.